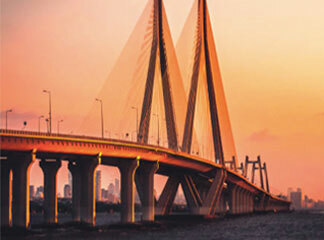 Established in 1987, Fine was among the first companies to set up an international jewellery unit in SEEPZ, Mumbai. 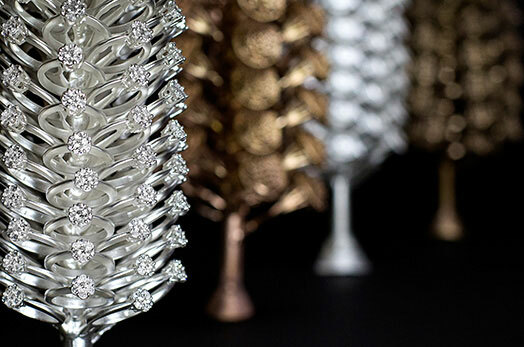 Our passion for innovative jewellery still carries us further on our journey. Fine is driven by the vision to be at the forefront of technology and innovation in jewellery, and deliver superior customer service. The success of our organization is built on a foundation of teamwork, commitment, integrity and excellence. Family - it’s not just important; it’s everything! Prem has been the inspirational force behind the firm. His insight into macro trends and industry experience of 40 years continues to be a pillar of strength for Fine. His ethics, values and pursuit of excellence forms the basis for the culture of the company. With 18 years of experience in the industry and a keen eye for detail, Sohil is focused on R&D, Sourcing and Operations, implementing new technology and international best practices, and continuing to improve an industry – leading jewellery manufacturing facility. After graduating from college in the US, Viral joined the business in 2006. 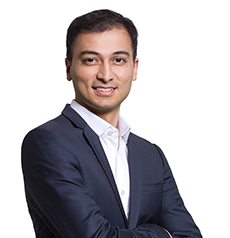 He is responsible for delivering the overall Marketing and Sales strategies for the company with a focus on enabling value added services for the client. He also plays a leading role in driving creativity for the group. 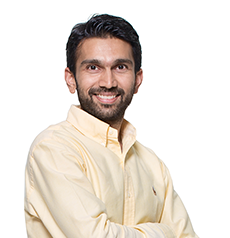 Based out of New York, Abhik drives sales for the US market. He particularly enjoys building relationships with customers. 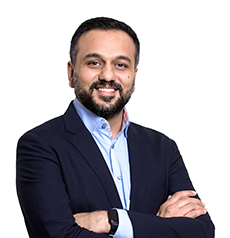 With over a decade of experience, his expertise in trend forecasting, analytics and problem solving make him a valuable resource to the company. Honoring the past,anticipating the future. 2017 marks Fine’s 30th Anniversary. 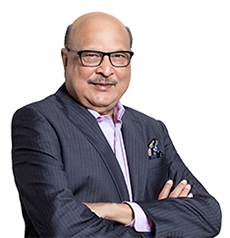 Over the past decade, the family operation has experienced a passing of the torch, as Founder Prem Kothari’s sons have taken up leadership roles. Going forward, they lookto further expand the company’s potential while maintaining the Fine values and spirit. Setup focused jewellery export factory in SEEPZ by founder Prem Kothari. One of the first 5 companies to commence jewellery exports from India. Princess invisible setting developed and introduced for the first time from India. New state of the art manufacturing facility setup. 44,000 sq feet. 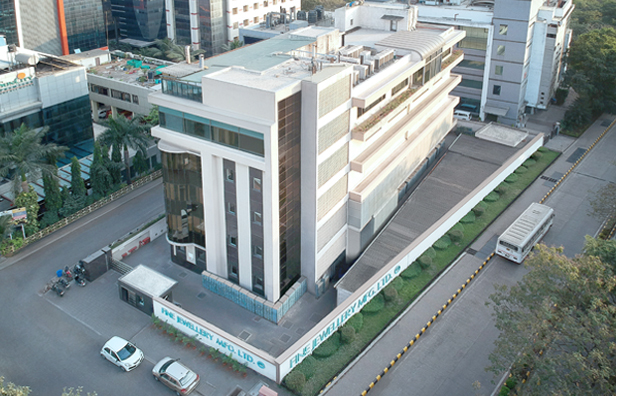 Capacity of 400,000 pieces of jewellery annually. 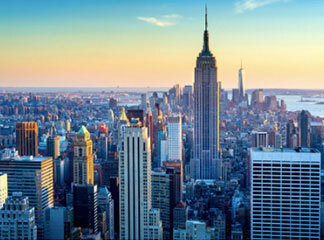 Established presence in New York, USA – FJIL Inc. Microscope setting technique developed and introduced from mass scale manufacturing. 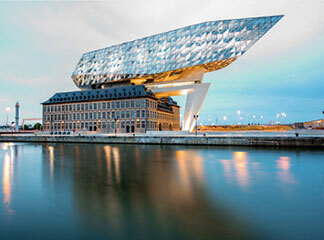 Established presence in Antwerp, Belgium – Fine Euro BVBA. Floating diamond setting technique developed and introduced for mass scale manufacturing. 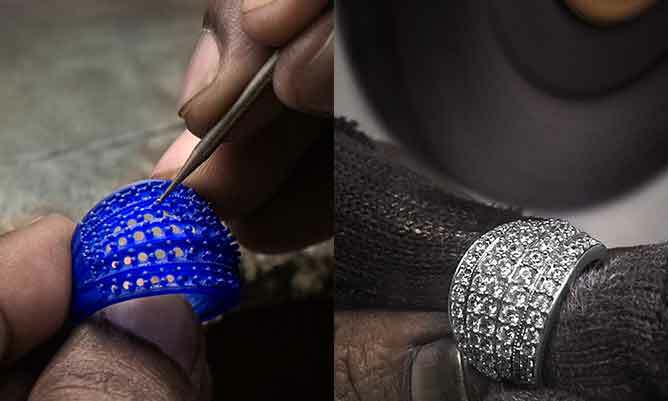 Pioneers in 3D printed jewellery introduction for mass scale manufacturing. Introduction of titanium technology for mass scale manufacturing. Completion of 30 years and adoption of new identity. Mystere patented setting technique developed and introduced. Ultra lightweight jewellery introduced with Spring technology. Commitment: it's more than a word; it's a way of life. Fine is a leading diamond jewellery manufacturer with a strong focus on innovation, product development and customer relationship management. 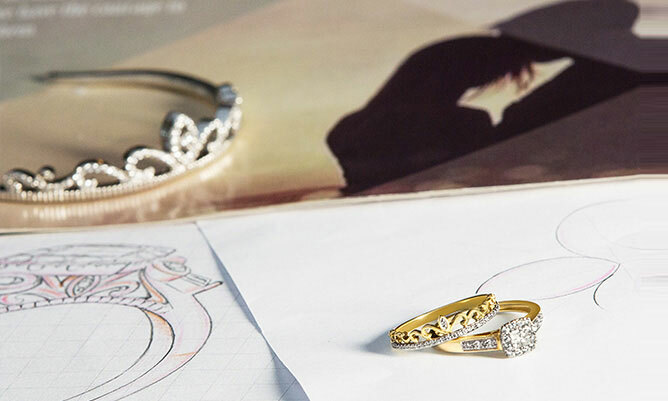 Although Fine is supplying jewellery to some of the largest purchasers in the world, we still have the flexibility to meet the needs of every customer’s specific requirements. All of our operations are united by a customer-centric approach, built on strong and long-standing relationships. We pride ourselves in our service, innovation, creativity, quality, craftsmanship and relationships. These are the important ingredients to our 360° commitment. It is our aim is to add value for our clients by providing customized service to the best of our abilities to help take their business to the next level. Leveraging our experience and global presence, we also support our customers with detailed analytics, market trends, branding ideas and promotion opportunities. We focus on tomorrow’s products for today’s customers. Our teams are constantly pushing the innovation boundaries backed by robust research and development leading to products that are the pipeline of the future. For us, creativity involves breaking out of established patterns and letting go of certainties in order to look at things in a different way. The drive to incorporate something fresh and new is what we live for. This has greatly influenced our approach to creativity and design. The look of amazement on our customers’ faces when they see something they have never seen before fuels our creativity. For us quality is not an act but a habit and these are reflected by the standards and parameters we implement within the group. While we are constantly raising the bar in terms of quality and product usability, we continue to exceed our customer’s expectations. When we chase perfection, we catch excellence in what we do. It is the art of speaking the unwritten language that allows us to tell a story through every piece of jewellery we make for you. 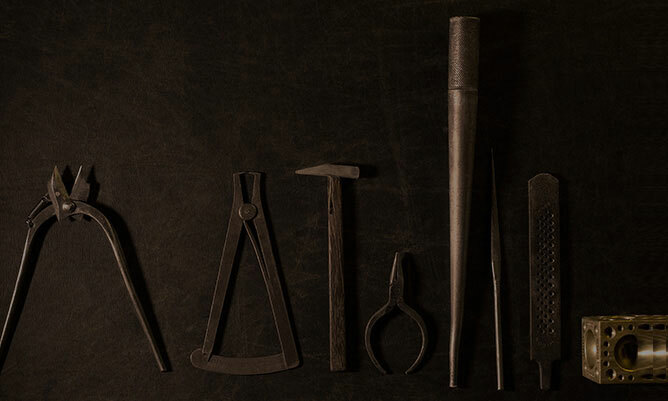 Three decades of experience and craftsmanship has been handed down over the years. Life is about connecting with people. It is about authenticity, humor and integrity. We build warm hearted relationships so that business with us remains transparent and enjoyable. Sales may go up or down, but service lasts forever. We strongly believe in this saying and everything we do, we do it to uphold our belief in this statement. But don’t take our word for it, below are some customer testimonials from people we are privileged to be associated with. I have worked with FINE for the past 25 years, over two generations of the Kothari family, who are most respected within the jewellery industry. FINE was one of the best introductions that happenned during my buying trips those many years ago. Over the years they have built great trust through their reliability, consistency and high quality standards. The team at FINE have a great understanding of the buyers needs and expectations. Today FINE continues to be one of the most Innovative jewellery manufacturers with excellence in Research, Design and Product development. FINE is very adept at re-engineering the core basic products as well as working with buyers on special project assignments. Their quality standard is maintained throughout, from promotional products through to High End certificated pieces. The FINE team are a pleasure to work with, they are very supportive and very dedicated to their customer’s success. It is almost 10 years we first met. An endearing family, a comprehensive team, creative and efficient designers, a high-standard factory, a skilled workforce : perfect ingredients for a smooth business and a prosperous and profitable relationship. Working with FINE is a strong experience, based on simplicity, loyalty, efficiency and… fun ! It was mid 1987 when I first visited the SEEPZ in ( that time still ) Bombay and met with a few companies who had started their production there. Amongst the ones I visited was Fine, who was in the very first stage of building a new export business beside the United States. I remember that at Fine there wasn’t anything like a sample line then, all had to be “judged and chosen ” from waxes or metal moulds and all were packed in brown paper bags.Nevertheless I saw a company that had the potential and will to be one of my suppliers and now after more than 30 years of working together I can say that they succeeded. Over the years I have seen many companies coming and also going but Fine managed to stay and improve year by year. It had cost us both blood , sweat and tears ( and not to forget money ) but I am glad to say that I am still a happy customer. With the young generation coming into the company a few years ago it became a new and fresh “boost “. They are always on the search for innovation; not only in the technique but also in design and marketing. “Fine makes fine jewellery” and I hope they will for a long time. We believe that responsible business practices and our aspiration to offer innovative, quality jewellery go hand in hand. That is why we are committed to developing and manufacturing jewellery in a responsible manner, while providing a great environment to work in, and working towards ensuring all of our materials originate from legitimate verifiable sources. Our goal is to maintain ethical standards within human and labour rights, safe working conditions and environmental impact, as well as fair and honest business practices. 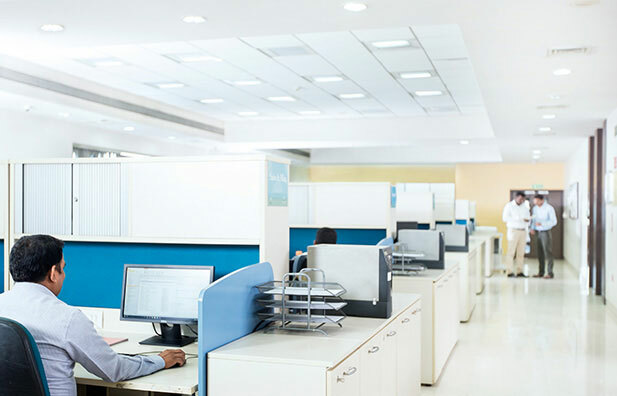 Our modern manufacturing facility of 45,000 sq ft provides safe working conditions to the more than 900 people engaged in crafting our jewellery. Continuous investment in new technology, machinery and skill upgradation of craftsmen, are the basis for ongoing improvement of product quality. Our craftspeople are offered competitive wages and benefit packages that include subsidised meals and bus transport, scholarships, extra holidays, sporting activities and social events. We work towards ensuring that materials procured and supplied by us are compliant with applicable international regulations governing their trade or use. All diamonds procured by us are compliant with the Kimberley process regulations under United Nations General Assembly Resolution 55/56, which ensures that the diamonds originate from legitimate sources and are not used to fund conflict. All gold procured by us originated from legitimate sources and is certified conflict free. We recognise the London Bullion Market Association (LBMA) Responsible Gold Guidance, and the DMCC “Dubai Good Delivery” list for gold as a core reference for supplies of gold from refineries. All jewellery supplied by us is compliant with The European Union Nickel directive EN 1811:2011 + A1:2015, which limits the amount of nickel that can be used in articles of jewellery, this is essential for limiting the possible effects of direct and prolonged contact with the skin from articles of containing nickel. 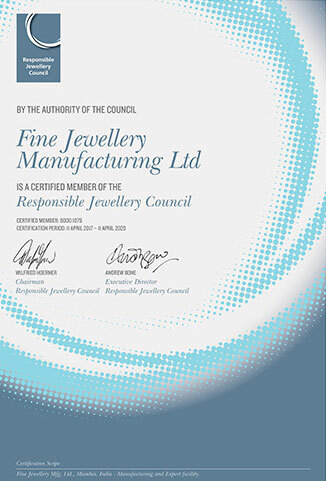 Our manufacturing facility is certified by the Responsible Jewellery Council (RJC), a standards setting and certification organization. 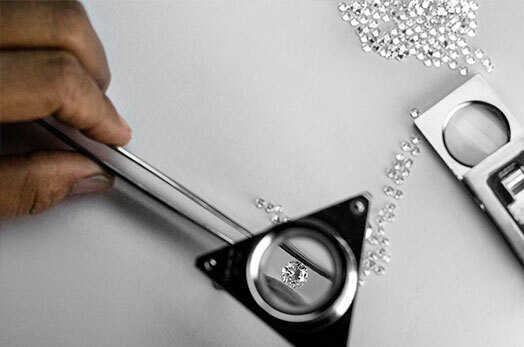 As a certified RJC member we are committed to and are independently audited towards the RJC Code of Practices – an international standard on responsible business practices for diamonds, gold and platinum group metals. The Code of Practices addresses human rights, labour rights, environmental impact, product disclosure and many more important topics in the jewellery supply chain. We manufacture a range of products for markets around the world serving customers in 25 countries including UK, Europe, the United States and Australia. While we continue to expand our international presence and strengthen our international partnerships, we continue to make sure that our focus is on each individual market and that our products and practices cater to our customer’s specific needs. A great place for great people to do great work! 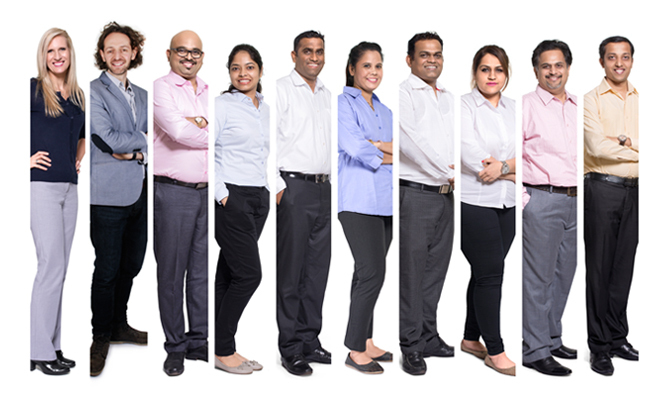 Our team is inspired and united by our passion, vision and desire to deliver exceptional products and services. There’s only one thing that allows us to sustain success over a long period of time and that’s the quality of people that we have. Therefore we build relations with customers but we also build them with our employees. 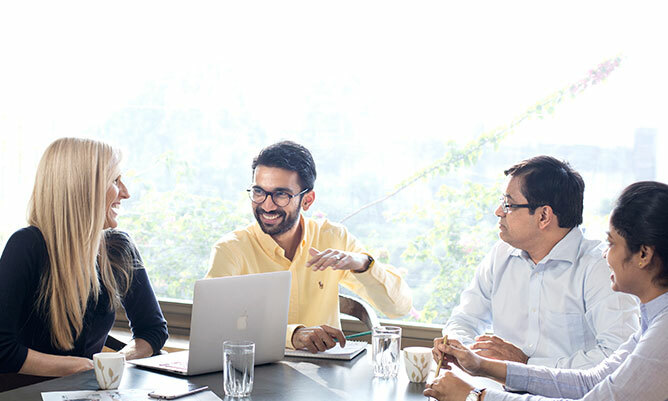 It is our aim to create the right environment and unleash the potential of every team member. Pavilion: Bridal Pavilion, Mandalay Bay Resort & Casino. FINE © 2017. All Rights Reserved.